When I access Apache web server using localhost from same web server PC, it shows Apache2 Ubuntu default page. But when I access Apache web server using 192.168.0.2, it is giving 403 Forbidden error (Forbidden You don't have permission to access / on this server). Where test-site is the second "localhost". And my-hostname is the "System hostname" defined in /etc/hostname. There is a default HTTP VH. It's placed in /etc/apache2/sites-available/. The filename is 000-default.conf. You have to edit it (you can rename it, if you want, or make some other .conf files, based on it) and after that you have to enable it. This one redirects all HTTP requests to HTTPS. This is the HTTPS VH. The content of these two files can be posted in one file, but in this case their management (a2ensite/a2dissite)will be more difficult. 4. You need properly configured `/etc/apache2/apache2.conf`. Ii is good idea to spend some time to improve your server's security. These manuals are about the security configuration: 1st and 2nd. Here you can get free SSL certificate. These sites will help you to check your progress: 1st and 2nd. # Set cookie with HttpOnly and Secure flag. Header set Server "Apache 1.3.26"
SSLCipherSuite "EECDH+ECDSA+AESGCM EECDH+aRSA+AESGCM EECDH+ECDSA+SHA384 EECDH+ECDSA+SHA256 EECDH+aRSA+SHA384 EECDH+aRSA+SHA256 EECDH+aRSA EECDH EDH+aRSA !aNULL !eNULL !LOW !3DES !MD5 !EXP !PSK !SRP !DSS !RC4"
5. Set up the Firewall. You can use and UFW's GUI interface, called gufw. Choice the Office profile. It will set: Status:ON, Incoming:Deny and Outgoing:Allow and add your rules. If you have a router and you want your web server to be accessible from Internet, don’t forget to add some port forwarding. Something like this. I am supposed to link you to this answer where solved my problem. 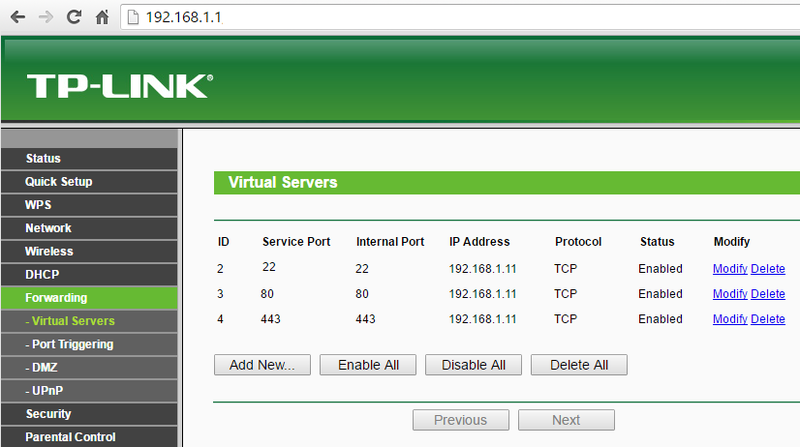 How to set a domain to ip address? How to add an html page in the apache2 root?